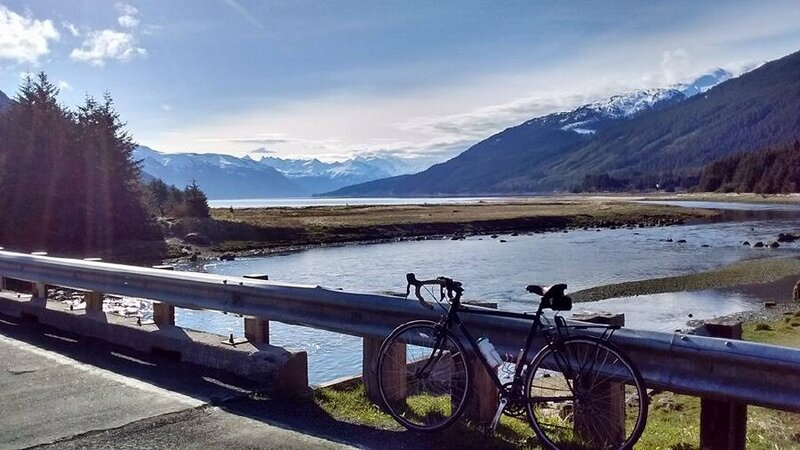 Even though the Alaskan towns of Skagway and Haines are but 15 miles apart by sea, the paved road that connects them covers 360 miles of the most breathtaking scenery in North America. We’ll bike this route, called the Golden Circle, for the trade route made famous by the Klondike Gold Rush in the late 1800s. Rolling terrain with some longer climbs on mostly paved roads. Moderate to advanced cycling level. 4 nights lodging in inns, 4 nights primitive camping in tents, 8 breakfasts, 7 lunches, 7 dinners, use of touring bike, snacks, route maps, tents, sleeping bags and comfort pads, van support & trained guides. Touring bike with straight handlebars is included in the tour. 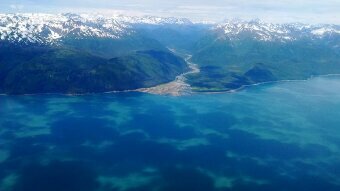 Fly round-trip to Juneau, AK. 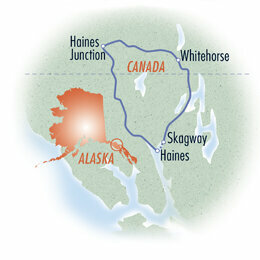 Then take a plane or ferry to Haines for the start of the tour and from Skagway at the end of the tour back to Juneau. 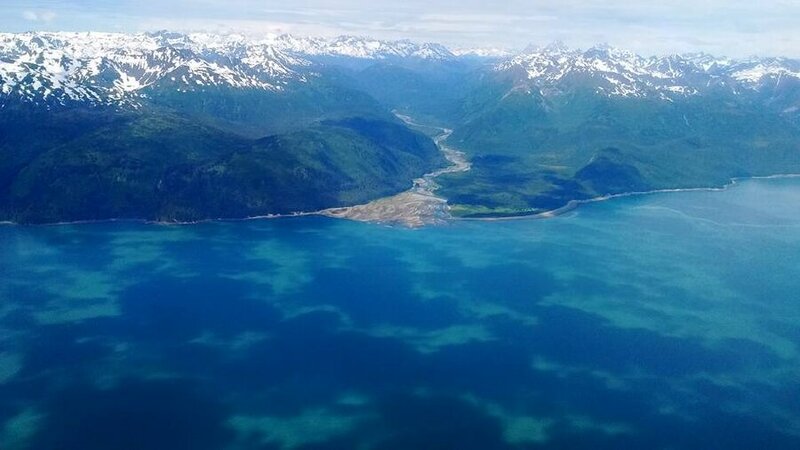 You should probably plan to arrive in Juneau at least a day before the tour starts. "I loved the tour. I would have gone back to Haines and started it all over if it had been possible. I felt safe because of the good support, and I never lacked for food or water. I was super lucky with weather. I loved every mile!" DAY 1: Arrive in Haines by ferry or plane from Juneau. We meet for a bike fitting and orientation in the afternoon and then dinner at 6:00. 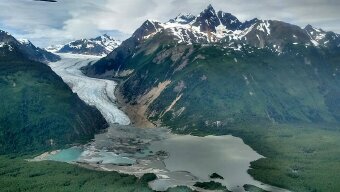 Haines sits at the northern end of America’s longest fjord and at the beginning of the Dalton Trail through the Chilkat Valley – one of the few original access routes to the interior. Try to arrive a day early to help with jet lag and to explore this quaint coastal town surrounded by glaciers. 0 miles. DAY 2: We start our cycling along a river through the Chilkat Bald Eagle Preserve. Established in 1982, the preserve protects the world’s largest concentration of bald eagles. We’ll stop in the Chilkat Indian village of Klukwan for lunch. We’ll pass through Canadian customs and camp near the Tatshenshini/Alsek Provincial Park by the banks of the Klehini River. Designated a World Heritage Site by UNESCO, the park is part of the largest protected area in the world. 45 miles. DAY 3: We gradually wind our way up the Chilkat Pass breaking out above the tree line. Just 50 miles from the coast, the scenery changes from rain forest to alpine tundra. We camp in the Yukon at beautiful Million Dollar Falls. 50 miles. DAY 4: Today we bike through Kluane National Park, a land of majestic mountains, expansive lakes and open vistas. 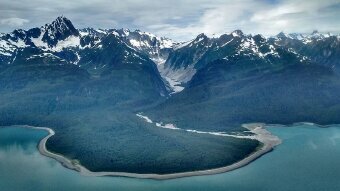 Among its 5 million acres is Canada’s highest peak, Mount Logan, standing at just under 20,000'. In the afternoon you can walk to Kathleen Lake and the daring can take a dip in the clear, but chilly, alpine water. We’ll eat dinner together at our cabins. 37 miles. DAY 5: After a welcome stop at a bakery for a second breakfast, we join the Alaska-Canada Highway in Haines Junction. Notice the sandy soil and scrub spruce, characteristic of the dry climate. We’ll camp at the Long Ago Peoples Place after a tour to learn how the Tushoni people lived in this area years ago. 60 miles. DAY 6: We’ll cross several tributaries today as we bike toward the Yukon River and Whitehorse, the capital of the Yukon Territory and a city of 30,000 hardy folks. We’ll overnight in a small hotel and dinner is on your own. 54 miles. DAY 7: We head south on the Klondike highway today. The coastal mountains beckon as we pass through the town of Carcross. We’ll skirt large natural lakes, which are the headwaters of the Yukon River. We’ll spend our last night camping near the shore of the pristine Windy Arm of Tagish Lake. 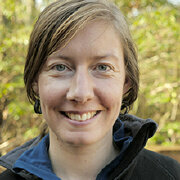 Pull out your binoculars to look for white, long-horned Dall sheep on the cliffs across the water. 55 miles. DAY 8: We’ll reenter British Columbia as the coastal mountains rise around us. We’ll bike through the historic narrow gap of White Pass before our descent takes us back into the US and then down to the coastal gold rush town of Skagway. Relax in our inn, admire the massive cruise ships docked downtown, and enjoy the sights and sounds of this colorful town. 55 miles. DAY 9: We say our good-byes over breakfast this morning. 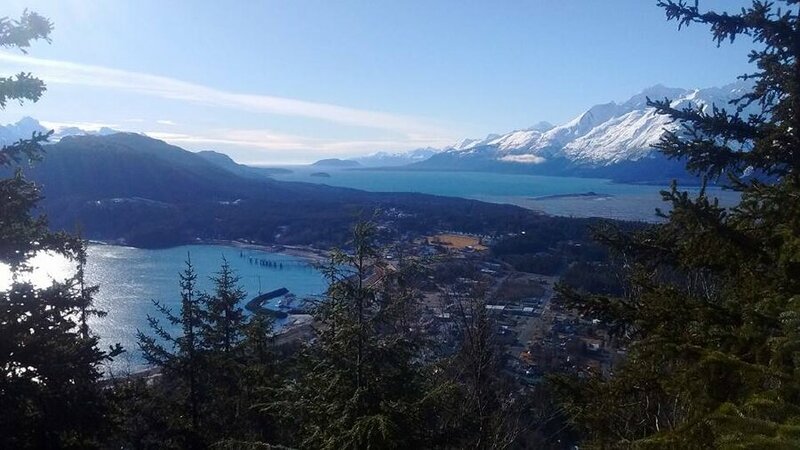 You will be able to fly or ferry out of Skagway to catch your connecting flight in Juneau. 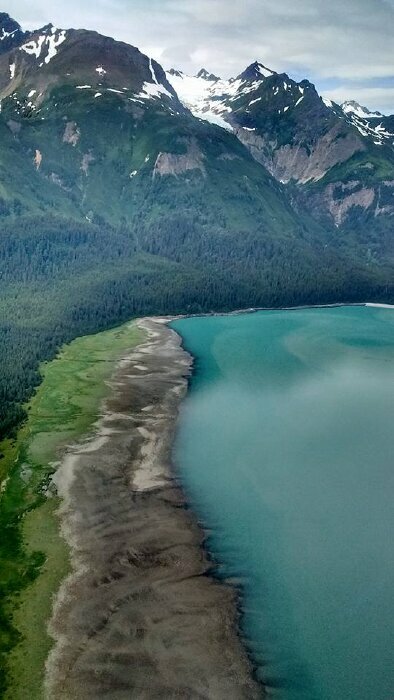 Better yet, take the time and extend your trip to see another part of Alaska - the last frontier. 0 miles.